Basilica of St. George is another sacred landmark located in the premises of Prague Castle. 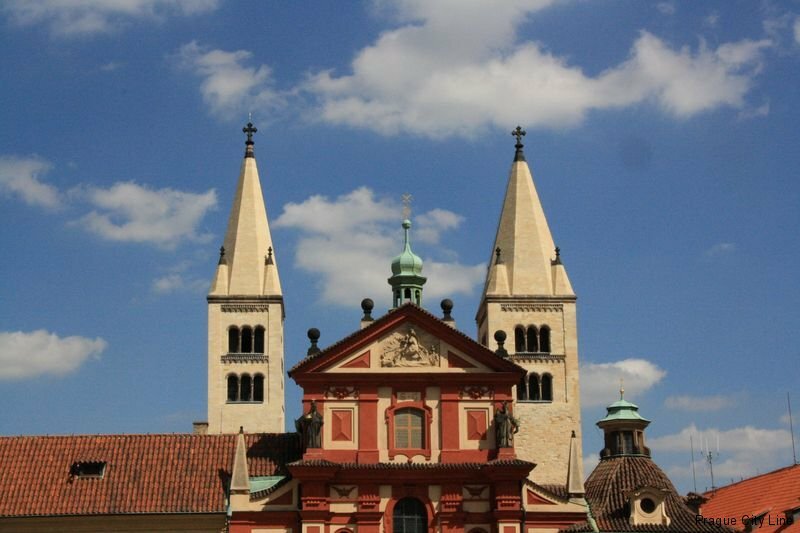 Now we will visit the second Prague´s Christian church. 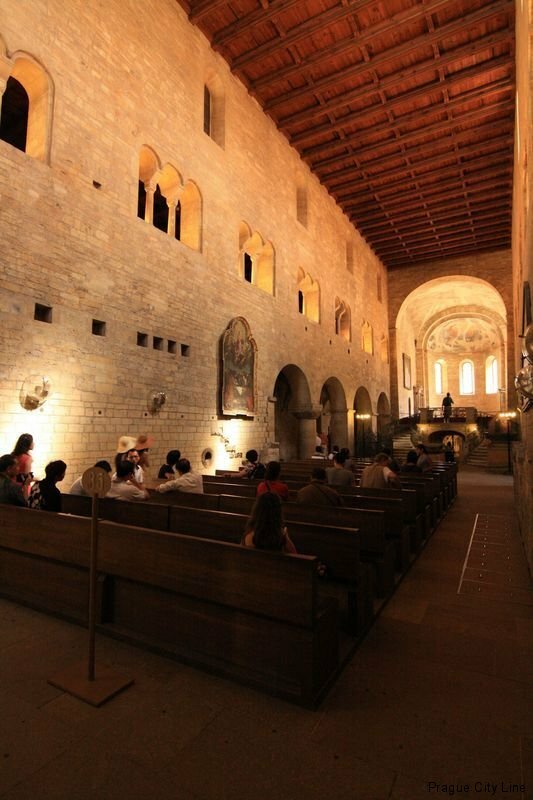 Let´s not hesitate and explore one of the most important Romanesque monuments. 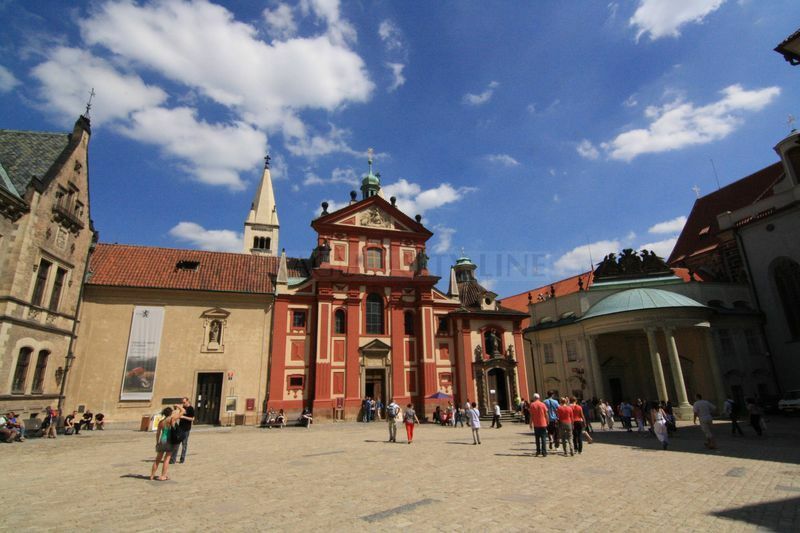 This gorgeous construction was founded in 920 being the second sanctuary of Prague Castle. 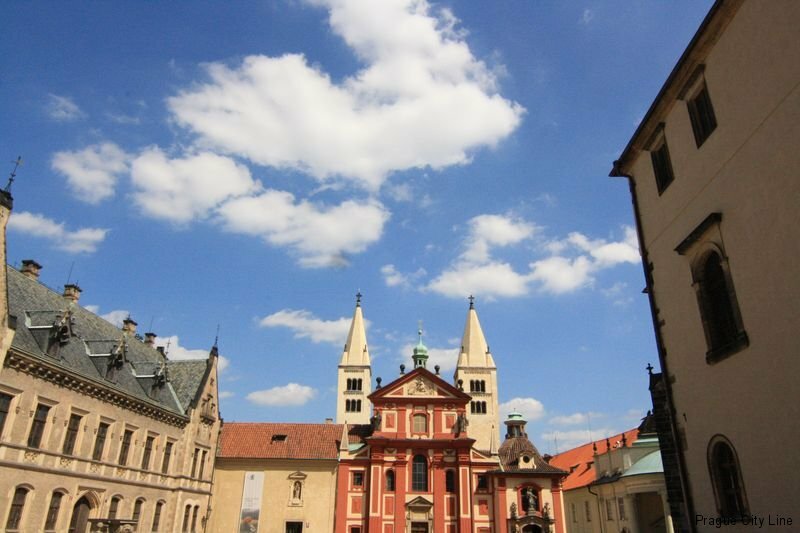 It was the second Prague´s Christian church of that period. A few years later, i.e. in 973, the Czech prince Boleslav II. 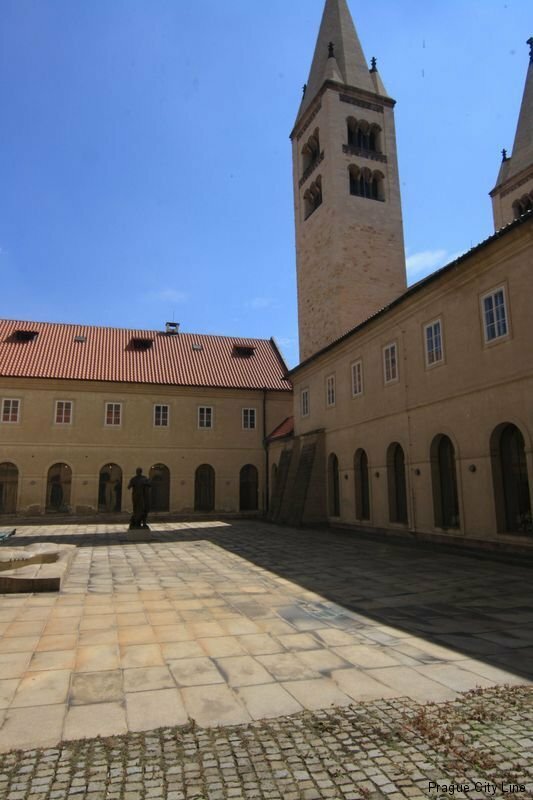 founded a Benedictine monastery which the church was incorporated into. It experienced a great fire in its past, too. 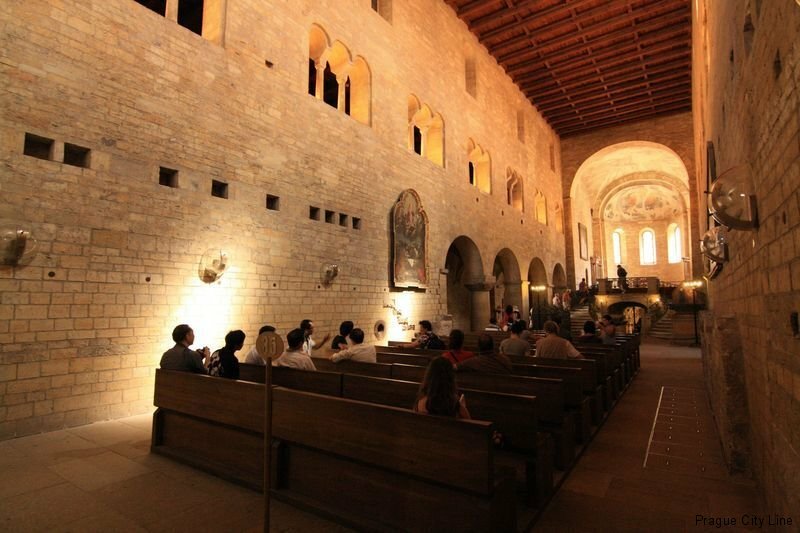 After everybody had recovered from the tragedy an extensive reconstruction and reconstruction works started in 1142 due to which the church received its Romanesque appearance. Except for its front and several interior elements it has retained this appearance until today. 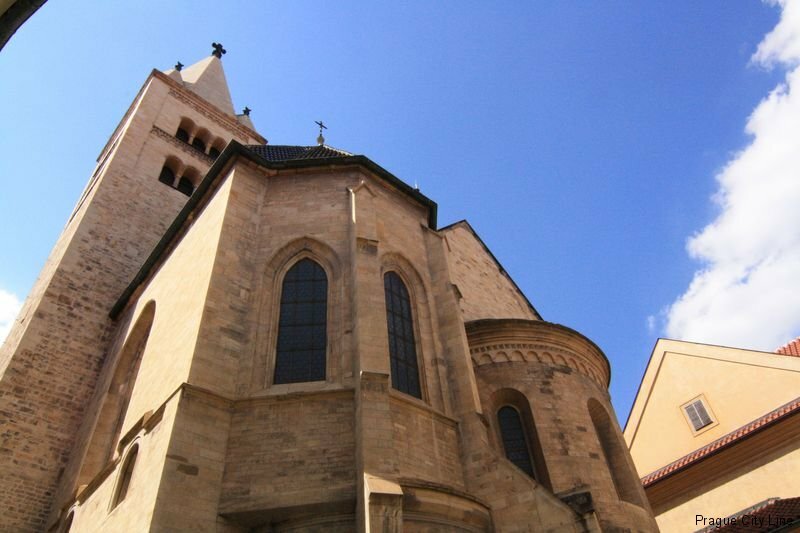 The church is a three-aisled basilica in fact. Two huge towers are the dominating features of the front. 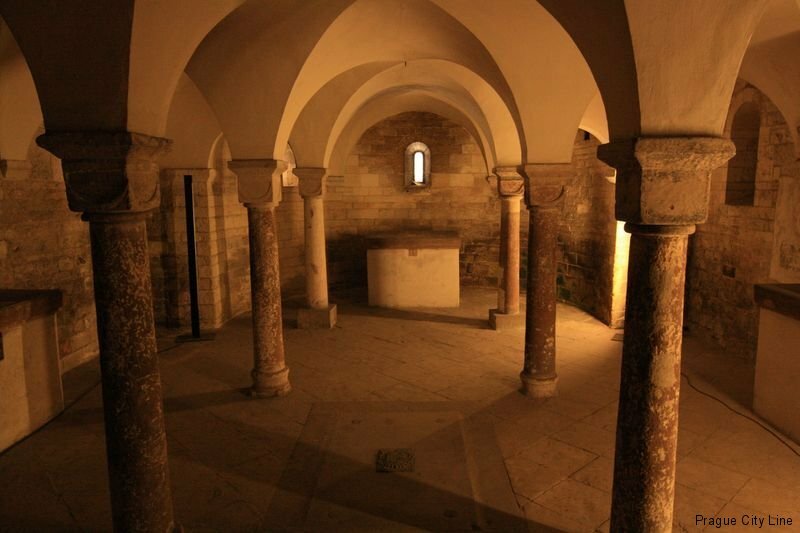 Another architectuaral gem is the square chancel with the apse and also the three-aisled crypt. 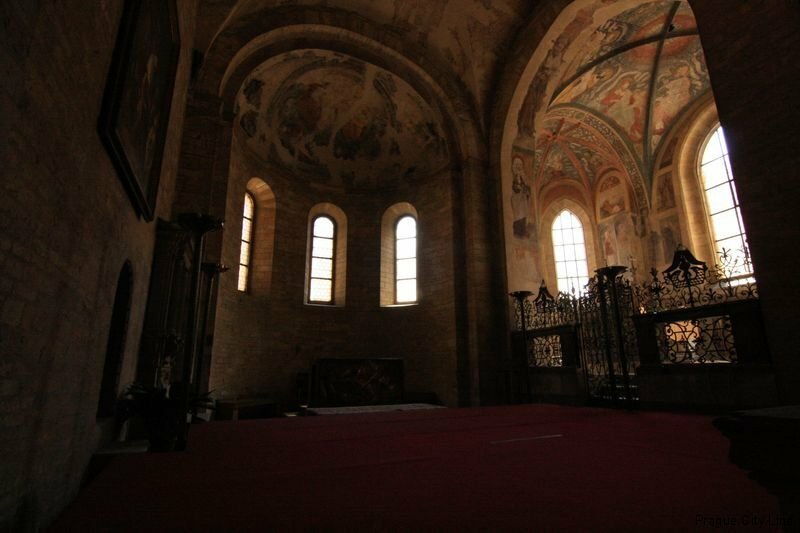 There is a Chapel of St. Ludmila inside the basilica which together with the major part fo the wall paintings comes from the beginning of the 12th century. 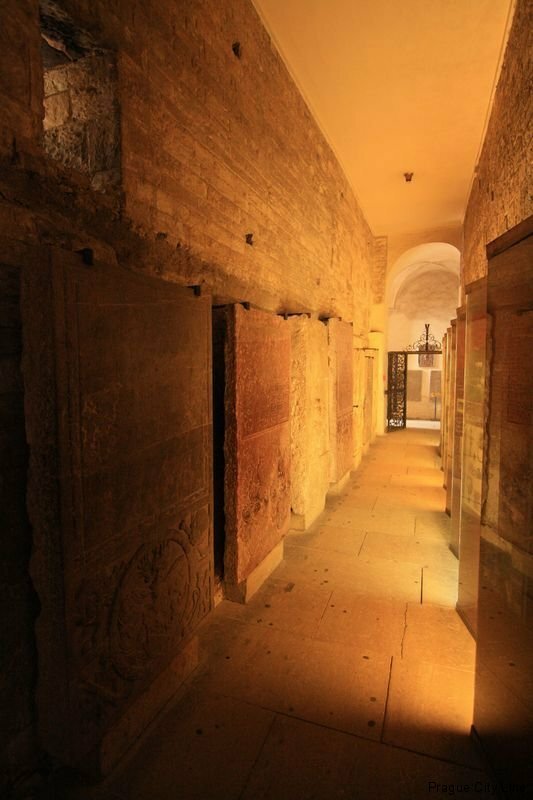 The wall paintings of the Heavenly Jerusalem and the figures of Jesus Christ, Virgin Mary and St. John the Evangelist have survived until today. You can see these gorgeous uniques on the chancel arch and on the Chapel of Virgin Mary and also in its apse. 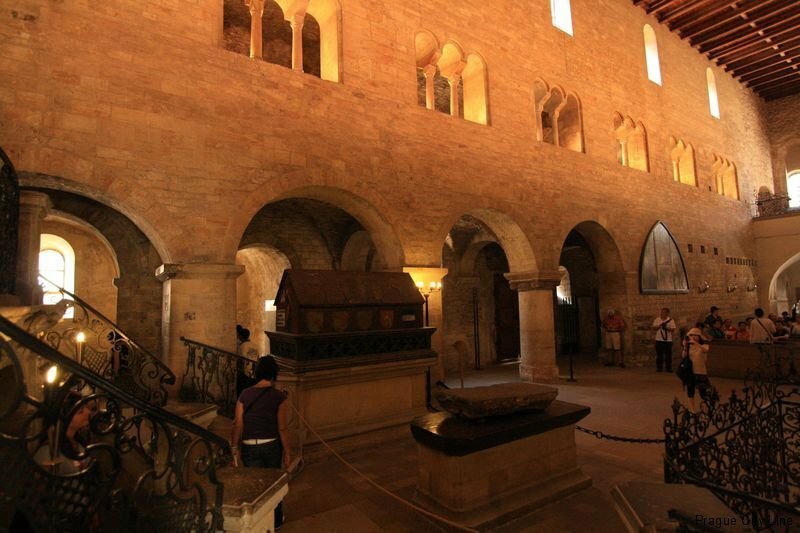 Do not forget to see the St. Ludmila´s tombstone coming from the 14th century. It was almost certainly produced by the Parléř smelting house. ting front of the church now. 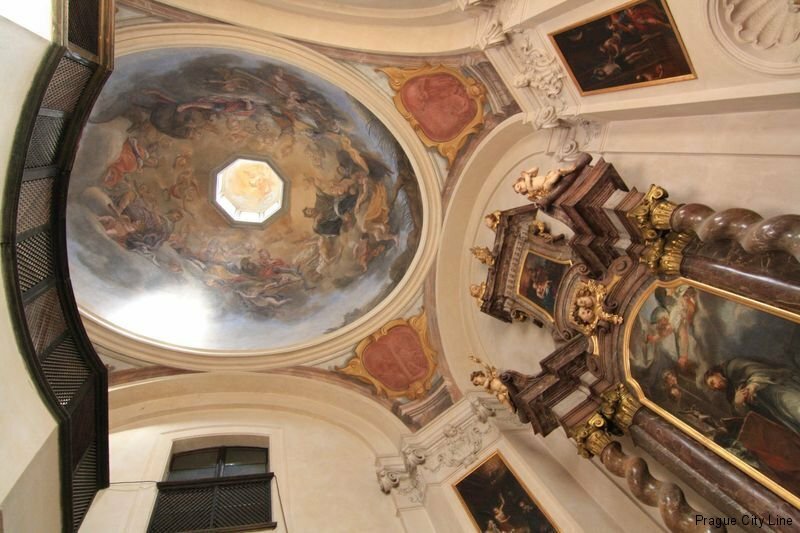 It was completed in the Baroque style at the end of the 17th century and it probably comes from the workshop of Francesco Caratti. The proud statues are the work of Jan Jiří Bendl. 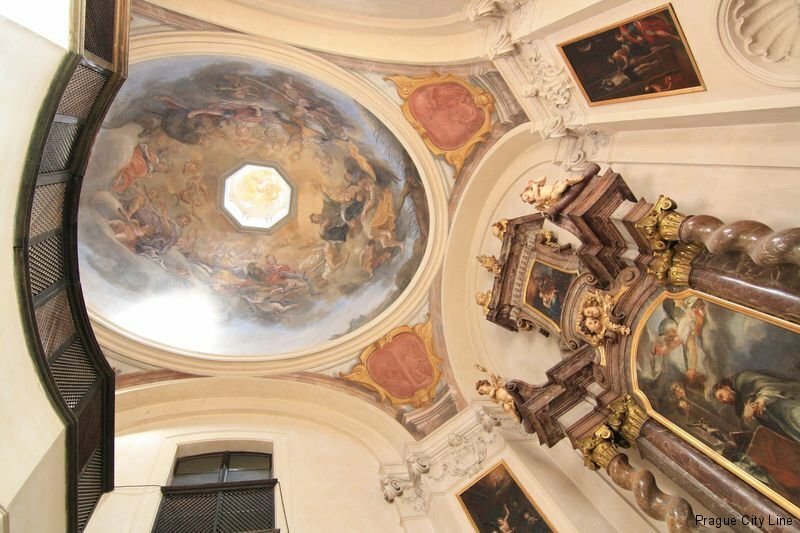 Between 1718-1722 the chapel of St. John of Nepomuk was added due to a noted Czech architect František Maxmilián Kaňka. The main statue of the saint with the angels was created by the sculptor Ferdinand Maxmilián Brokoff. 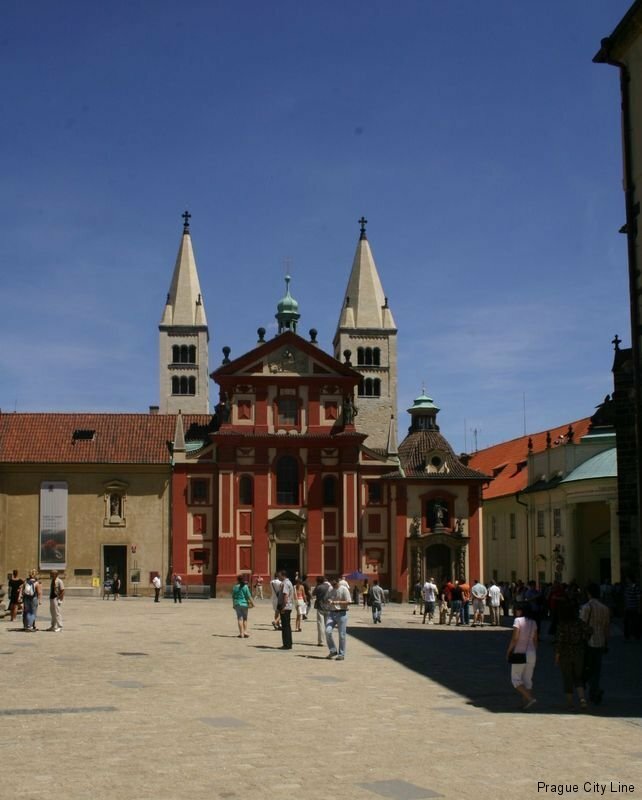 It is amazing that the basilica resembles the original construction from the 12th century. The final look was the work of a significant Purist architect Ludvík Lábler (performance between 1888 -1918). 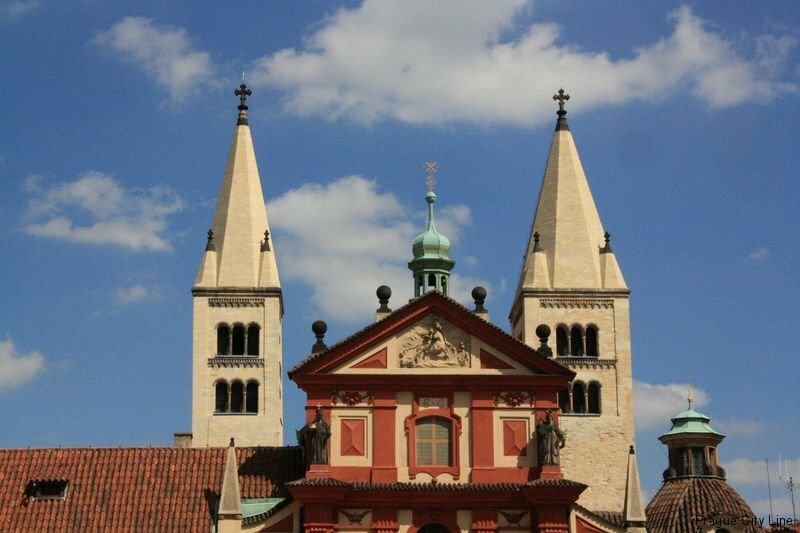 Please take a careful look at the both towers which are to be found in basilica´s front. They reach up to forty-one meters. Do you think there is something strange and unusual about them? Indeed, one of them is a bit wider than the other one. The narrower northern tower is called Eva. It is rather more sloping, accurately about forty centimeters, and it was reinforced in the scope of the construction works in 1970´s. 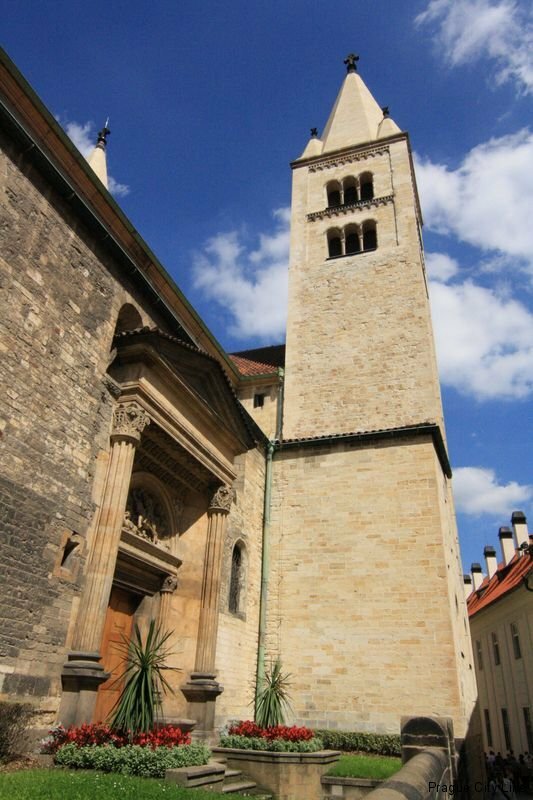 The wider tower in the southern side located above the original chapel is called Adam. We also need to mention that the remains of the grandmother of St. Wenceslas – the murdered Princess Ludmila and the first Czech female martyr – were placed here in 925. 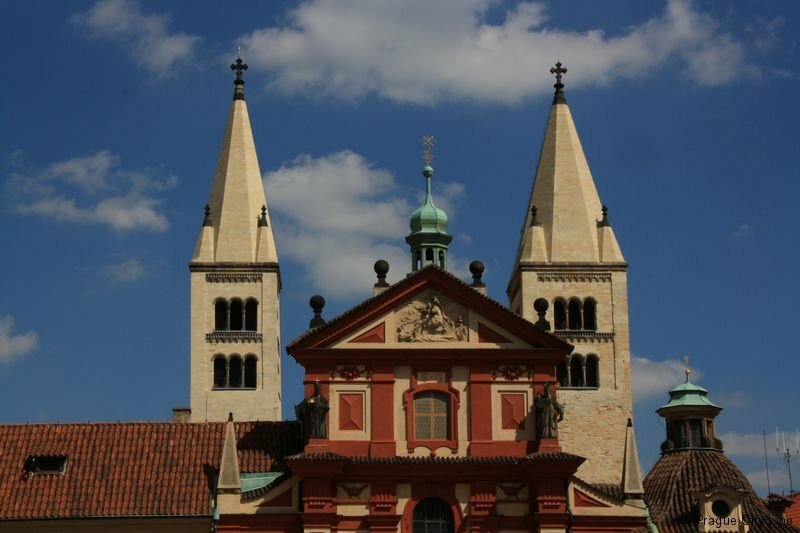 The remains had probably been placed in the chapel below the current Southern tower because the Chapel of St. Ludmila where the remains were later moved was founded much later. I hope that everyone has enjoyed the seightseeing and that you won´t skip this landmark during your visit of the Castle.